For any support or questions please see the forum thread. 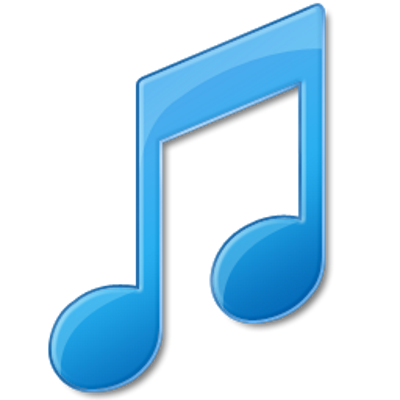 Updated to latest AudioSwitcher library which improves overall performance in areas like device retrieval. Now uses ILMerge to merge dependencies and added MPEI script to remove now obsolete files. Formatted resume time on LAV audio delay dialog to hh:mm:ss. Added check for duplicates upon adding LAV bitstream setup devices. Allowed for re-sorting LAV bitstream devices. Added combo box auto completion to LAV bitstream device names and no longer highlights after selecting. Added LAV audio delay options to context menu, not shown by default and can be enabled in settings. Can add audio delays while video is playing and it will optionally restart the video where it left off. 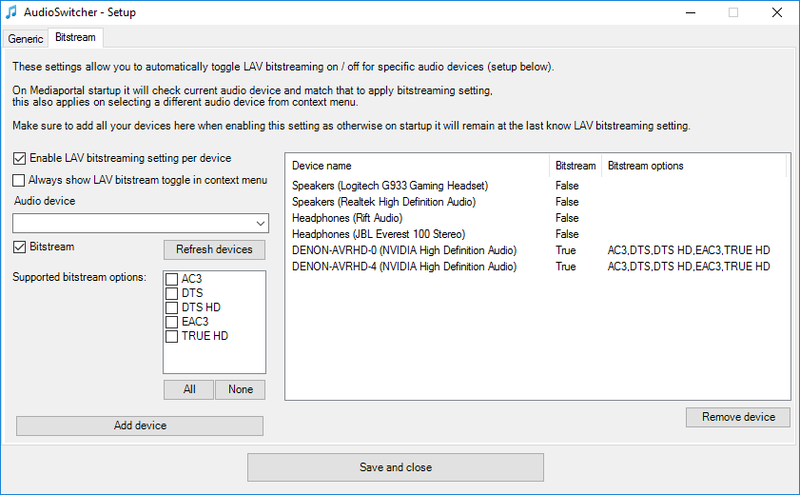 Reads back current bitstream and audio delay settings directly from LAV registry keys and no longer relies on possible old values if for instance changed outside of Mediaportal. Added workaround for AudioSwitcher library bug, will reinitialize CoreAudioController if it detects unknown devices. Simplified manual LAV bit streaming toggling. Added LAV audio bit stream per device, this allows toggling bit streaming on / off depending device. 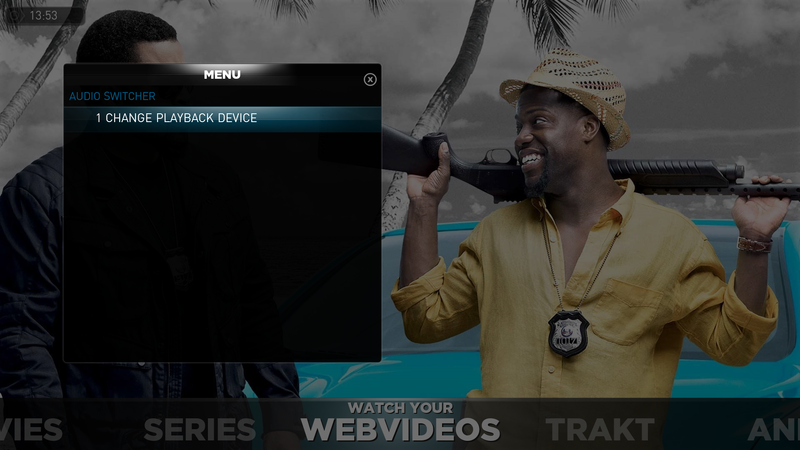 Added option to set a default playback device on start up. 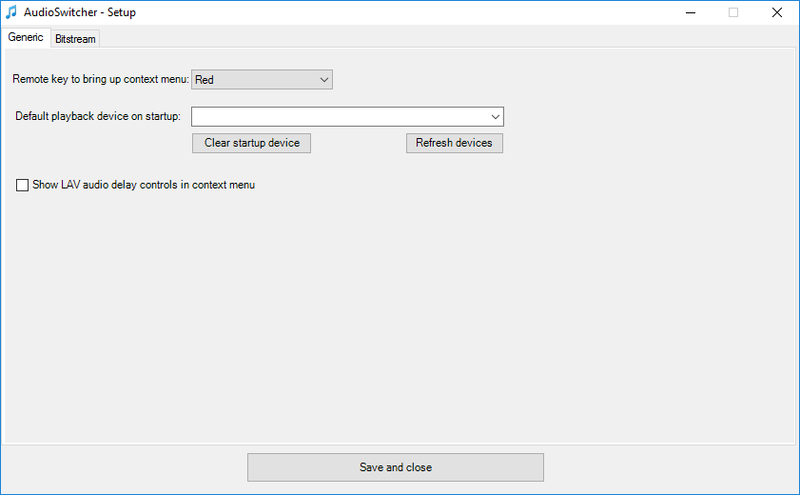 Additional context menu item to toggle LAV bit streaming manually. Small fix for incorrect settings space, will migrate key setting and removes old setting afterwards.